When fellow businesswoman ask who my ideal clients are, I say they are girls who work for everything they have in the horse world. Every show they enter, every piece of tack they have, and every extra bag of grain they put in the car it’s because they have such a love for their horse that they’ll put in the extra hard work to make it happen. 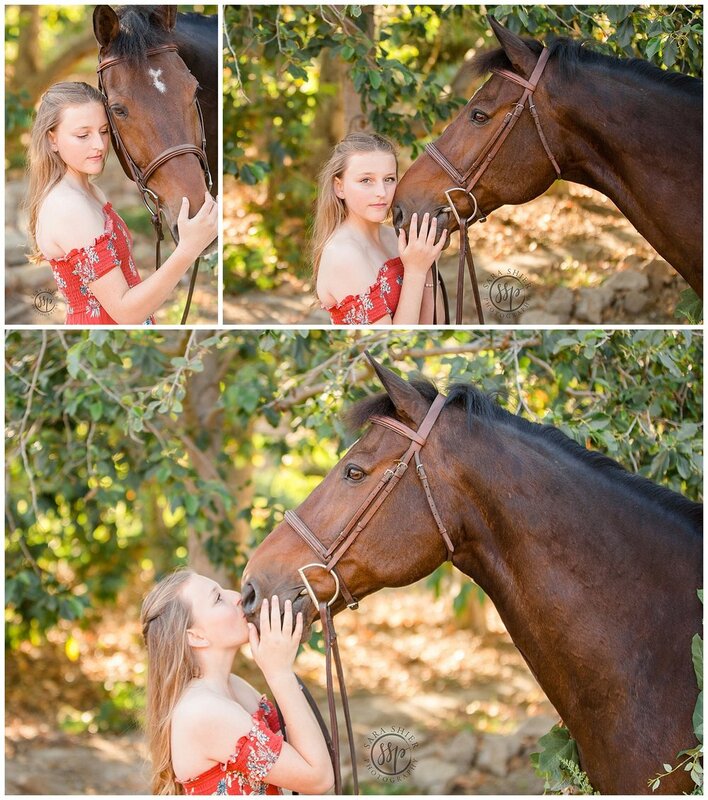 Her session was just so dreamy, I didn’t want to stop shooting! Urban Forrest never fails to have beautiful scenery along with gorgeous sunsets! 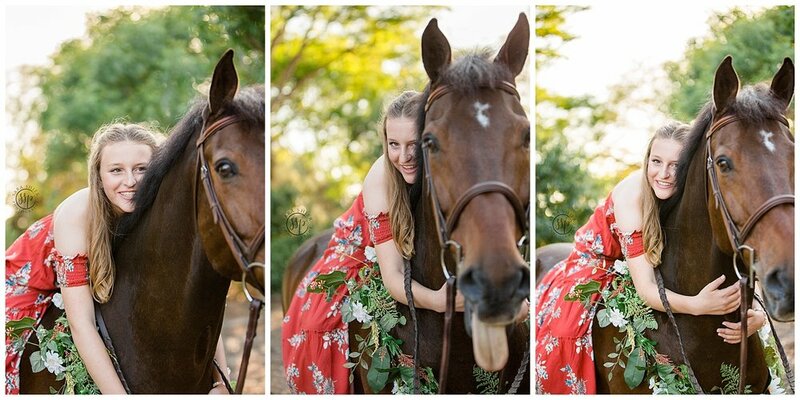 Ducati was a perfect gentleman throughout their entire session and didn’t mind being led through the trails at the Huntington Central Park Equestrian Center. 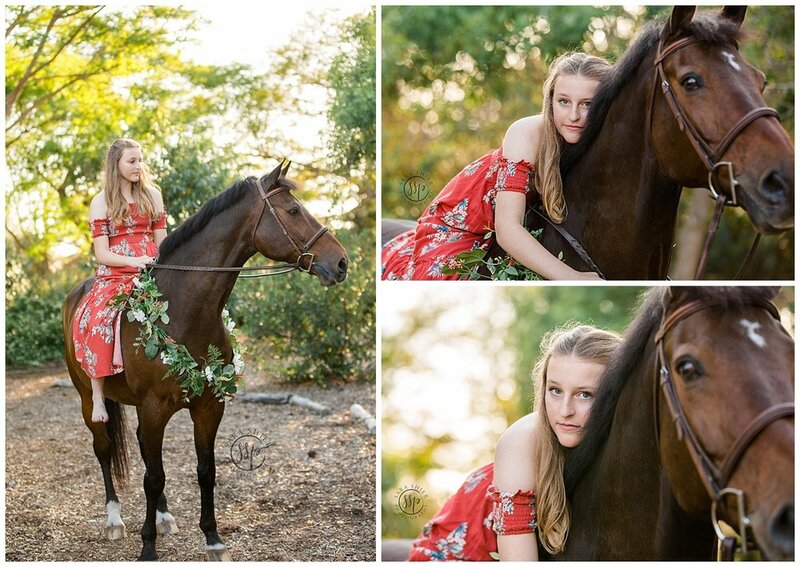 My favorite detail of their session was Delany’s bracelet, not only did it match her second outfit PERFECTLY, it also symbolizes her horse! Ducati’s name in Morse code! How cool is that?! Funny story: Ducati ALWAYS tries to eat it!